The President and First Lady didn't disappoint at their last annual Halloween party at the White House on Monday night. 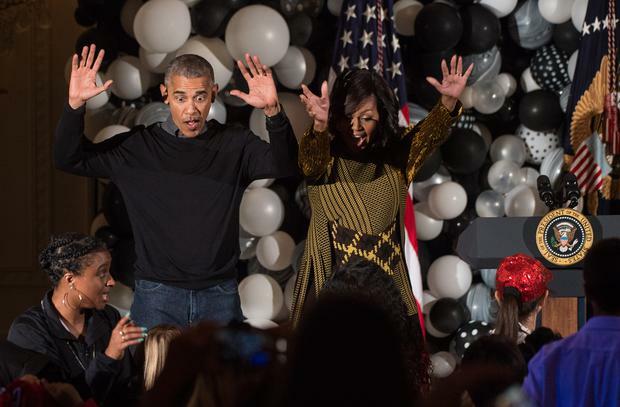 The Obamas welcomed children from military and local families before letting loose to dance to the Halloween hit. "We’ve been working on a little dance. We don’t know how it’s going to go, but we think we should all just try it anyway,” said Barack. Watch the video below and try not to join in.